Most politicians at the national level have proven to be vindictive, greedy, self-centered, and more involved in their own political future than in that of the country or their own constituents. The politicians that are supposed to represent us don’t care what we think. Just write a heartfelt letter or call your congressman or senator to see how little they care what you think. Responses come in the form of mass-produced form letters that often times aren’t even seen by the addressee. Responses are handled by their staff and it is up to these unknown, unelected employees, who answer our questions or respond to concerns. When I have been able to interact with my representatives, I’ve found the general attitude to be annoyance, as if the public is in the way, a barrier to their getting their work done. And their work hardly focuses on the public good or what the public cares most about; it focuses on cash donors with the bottom line being their own election bid. To me, the problem is that politicians are supposed to be public servants. They are our representatives that do the public’s business. They manage the country in which we live in the government that is of the people, for the people, and most importantly, by the people. Everything they do, they do in our name. Being a Congressman or Senator is not meant to be a life-long career. That has to change and the solution is term limits. Imposing term limits as a policy would not be an easy task, since lawmakers would have to support legislation that would put the good of the country over what has become a lucrative career path with corporate kick-backs, deal making, and oh, so many perks. It would take some very open-minded politicians, the likes of which we have not seen in decades, to propose legislation that would bring about term limits. If term limits are not possible legislatively, we, the represented, have only one choice. We, the voters can impose term limits ourselves. We have the option every two years for Congressional Representatives and every six years for Senators, to vote them out! Voting is our only tool, so we must use it wisely. Voting is our only option. When voters get no response from their representatives, we must resign to get rid of them. When we learn that our representatives are not worthy of the office they hold, we must resign to get rid of them. If our representatives choose their corporate funding sources over our concerns, such as what we’ve seen in the health care debates, we must resign to get rid of them. When candidates lie to our faces, such as the Republican candidates that claim they will protect pre-existing conditions at the same time they voted or sued to end this provision in our health care insurance, as outlined in this story, https://www.nytimes.com/2018/11/02/upshot/republicans-pre-existing-conditions-.html, we must resign to get rid of them. There are new examples every day of dastardly deeds unbefitting a representative of our government. If this is as bothersome to you as it is to me, remember that we can change things. It will take some time, but eventually, our leaders will get the hint. If the makeup of Congress changes every two years, it will become clear that if our public figures don’t do their job or don’t do it on behalf of the people that put them there, then they must go. The lesser of two evils is not as bad as it sounds. Sometimes, the two-party system advances candidates that we consider unappealing. Instead of simply voting for a partisan, which is done all too often, become an informed voter. Don’t look at the party; look at the individual who if elected, will speak for you. Study what the candidates stand for. Hear their message, which does not include the hundreds of “attack the other guy” ads being run by way too much money in the political system. Do your homework. There are so many resources available today, at your fingertips. Voting is one of your most important obligations as a citizen of this country. You will choose the men and women that speak on your behalf in this and other parts of the world. Tuesday is Election Day. Do your part to make this country a better place. Vote! Today is my favorite day of the year -- Earth Day. Mother Earth was kind enough to give presents -- a gentle rain shower that turned our Arkansas back yard into a rain forest. The sun is shining now. Like all females, Mother Earth is prone to changing her mind. As I look out the window into the woods, droplets of rain on the still new leaves sparkle as the warm sun caresses them. The landscape shimmers as if dressed in sequins. Thank you Mother Earth. The effect is spectacular. Almost thirty years ago on this day, I experienced a kind of environmental awakening that has forever changed how I see and think about things. This new kind of spirituality inspires deeper thought, a kind of peripheral vision that takes in new dimensions, and a sense of connection to all living things. "When we try to pick out anything by itself, we find it hitched to everything else in the Universe," said John Muir, founder of the Sierra Club, who was born on this day. That quote has been my favorite since I first heard it. Connections are not always clear. Sometimes they are difficult to discern, but we must not be blinded by the obvious. On that day so long ago, I walked with a group of other nature lovers along a trail. It was a time when "Save the Earth" was a popular slogan. I was disturbed about oil spills, killing dolphins in tuna nets, too much plastic that never degrades, landfills overflowing with trash that could be recycled into useful products, and the very future of the only planet we can call home. But as I walked the trail, in the forest remnant that had been largely untouched since it was carved out by glaciers hundreds of thousands of years ago, I realized that humans aren't able to save the earth any more than they can affect it. Mother Earth will save herself, even if it is at our expense. I fear for humans who totally miss the point. The only thing that man's work will destroy is man. I'm saddened that little has been accomplished since that day in 1990. And I am frustrated -- no angry -- at recent political attempts to reverse protections of the environment. Even though I'm unhappy that there must be legal efforts to thwart man's destructive behavior against himself, it is too important not to be supportive since not everybody gets it. My hope for the environmental future of mankind is that more people realize the connections. Watch live streaming video of the happy event! Just when you think you've heard all the ridiculous things possible, something simply blows your mind. That was the case for me this morning, when I learned that the live-stream of a giraffe preparing to give birth was temporarily removed from You Tube for being "sexually explicit." 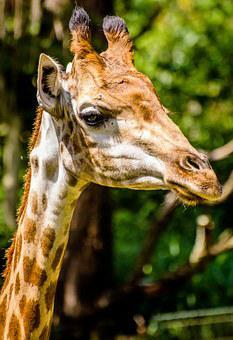 The live stream from Animal Adventure Park in upstate New York has since resumed as the giraffe, fondly known by millions as April, prepares to give birth to her calf. What kind of an insane person could consider an animal doing the most natural thing in the world--giving birth--to be harmful to watch because it is sexually explicit? The stream also contains live comments. Like with all social media, there are jerks that have to try to ruin things for others. Most comments, however, are heartwarming, loving, and caring. Folks began watching, since Feb. 23 when the stream began, in breathless anticipation. It is almost like April has become a family member to many as her pregnancy continues. Watching has become a calming way to start a new day with a cup of freshly brewed coffee, as April is cheered on. Moms and Dads are using the experience as a learning tool for their children. Most who watch are grateful to the park for making the videos available to the public. There is no doubt April's giving birth, when it happens, will be labeled "Breaking News" and will be mentioned by nearly every media outlet. April, and her companion and father of her calf, Oliver, have certainly become celebrities. To anyone that sees this event as anything but the beautiful event it is, seek help. Apparently the hubbub about Debbie Wasserman-Schultz, now the former head of the Democratic National Committee, has passed. The news died down in short order once the first night of the Democratic Convention commenced. Unity may never truly occur between the Sen. Bernie Sanders' supporters, which Wasserman Schultz is accused of slighting over support for the party's ultimate nominee, Hillary Clinton. Aside from the voters that flat out dislike Clinton, many of the Sanders' voters are young. They are feisty and want to dig in their heels. It appears that most of the Bernie or Bust folks are prepared to follow the lead of their mentor who suggested they switch their support to Hillary Clinton. The alternative, a Donald Trump administration is undesirable to most and a third party vote could dangerously result in a Trump victory. None of the imperfections in the political system happened overnight. None of them will be solved overnight either. What really ails the Democratic Party is years of apathy and inattention to politics. This lack of interest is partly responsible for the chaos that guides political parties today. The idea that new voters have awakened is a good thing, but political experience and/or knowledge of history is helpful when guiding decision making. It is helpful to fully understanding how things have been done and how they need to be done. There is never a need to reinvent the wheel. Many of the young people excited by the notion of a political revolution, led by Sanders, are also members of the instant gratification generation. That kind of comfort just doesn’t bode well in the political arena where long, measured actions and reactions are the norm. Politics is about getting all the ducks in a row; it is about dealing with people, a difficult task because the Democratic Party consists of so many people from different backgrounds and cultures, with differing ideas, and independent thoughts. A political party deals not with just the candidates, but everyone else associated with elections, from the staff, volunteers, and voters. It takes finesse to get everyone on the same page. Wasserman Schultz did anything to require more than an apology to Bernie Sanders and his supporters. Granted, her actions were an embarrassment, but that is only because Sanders was so once-in-a-lifetime successful. Had he been just another candidate, nothing would have come of this. Wasserman Schultz was already ruffling feathers when just before the convention her emails were released by Wikileaks. They provided embarrassing evidence. Who expects a personal email to fall into the wrong hands? Who expects their words to be read beyond the intended recipient? Anyone would be embarrassed. Who is to say how, and more importantly why, and by whom this information was leaked. That is another story for another time. The DNC is being accused of slighting Sanders’ campaign. That may be, but they why is also important. Consider the fact that Sanders has been an Independent candidate and only chose to run as a Democrat for this Presidential election. That proves a stark contrast with Clinton, who has been a staunch Democrat for most of her political career, spanning decades. 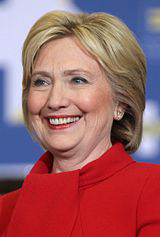 When she lost the Primary to Barack Obama in 2008, it was evident that she would seek the Presidency again. It was almost inevitable that she would run and win this time. Following the first black President, Hillary Clinton could become the first female President. It would be historic. The Democratic Party wanted that to happen, long before convention planning had commenced. By contrast, Sanders campaign began when he announced his intentions. It was almost out of the blue. Few took him seriously at first. It seemed early on that the primary would be just going through the motions. By the time Bernie and Martin O’Malley entered the race, Wasserman Schultz and the DNC were already geared up for a Clinton Presidency. In hindsight, a Clinton win was premature, but by then, the ducks were already lined up. There is probably not a single person, including Bernie himself that could have predicted the dynamics of this primary battle. Everyone was surprised at the country’s apparent distaste for politics as usual. So, if Wasserman Schultz and the DNC are guilty of anything, it is bad timing, premature judgement, and the inability to stop a runaway train. They were ill-equipped to predict the success of the Sanders campaign. Once it was finally realized that Sanders was a real threat to Clinton's candidacy, the train was already barreling down the track and it was too late to flip the switch. Politics is not a spontaneous sport. An election is a huge undertaking that requires cooperation, understanding, and generally being on top of every little detail. And there are lots and lots of details. It also requires people skills since there are so many individuals involved in races, staff, and volunteers all across the country. As the DNC Chairman, Wasserman Schultz was charged with doing what was best for the Democratic Party, not just the presidential race, but the entire party, which includes a whole host of governors, state officials, as well as U.S. Congressional candidates. How could she have known early on that Bernie Sanders was going to “knock it out of the park” in terms of fundraising, support, and visual turn-out for rallies? Such a phenomenon is unprecedented! Much of Sanders’ support came from young and enthusiastic first-time voters. Others are from the far left, progressive fringe of the Democratic party. Then there are the natural Hillary haters that have bought into the quarter-century of lies and innuendos told by Republicans in hope that something will stick. Together, all those voices made up a pretty strong force. Admittedly, Wasserman Schultz and the DNC should not have been biased against Sanders in favoring Clinton. But then when Trump became the GOP nominee, it became urgent to boost the candidacy of whomever Democratic Party presumed to be their best candidate. They had been burned before. The DNC experienced a heated primary in 2000 when Ralph Nader took votes that could have boosted Al Gore's candidacy. Instead George W. Bush invariably won the tight race through the back-door with help from brother Jeb and his political cronies in Florida coupled with a GOP-laden Supreme Court. The justices took control of the election and handed it to Bush. In the back of their minds—the DNC—burnt badly in 2000, would guard against that ever happening again. Hillary Clinton has offered Wasserman Schultz an honorary position in her campaign, as chair of Clinton's 50-state strategy. This is not, as some are charging, a Quid-Pro-Quo. Instead it is an opportunity for Clinton to utilize the best and brightest talent for a job that needs doing. 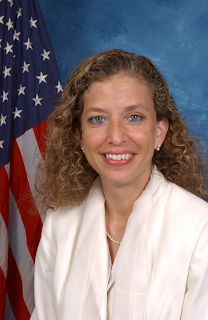 Wasserman Schultz has experience in politics and her help will likely be invaluable. Like many, I’m personally disappointed in how this entire Bernie Sanders campaign issue has been handled. But it is time to learn from mistakes, get stronger, and move forward. I would like to see Sanders continue his efforts to coalesce like-minded folks, who one day can continue a real political revolution. That will take very hard work and long hours however, since nothing in politics or for that matter, anything of substance, happens overnight. I’m enthused to see this political movement grow. I’m excited to see Hillary Clinton prove to her adversaries that they have been wrong about her. I believe she can be a great President. And, I’m excited to finally see a woman occupy the White House. This has been the most exasperating election season I can ever remember. That wasn’t the way it started out for me. Early on I was excited to see such a great field of Democrats vying for President. Republican politics has just never appealed to me. It would take a pretty great person for me to vote for a Republican. It has happened in the past, but not very often. I just do not share the same philosophy with the party of ‘bigger is always better.’ This year’s candidates almost seemed like jokesters to me. I could hardly relate to any one of them. One seemed worse then the other, and there were a whole host of them. To me, the worst of the bunch were Carly Fiorina and Ted Cruz. Not only did none of them impress me, but they aggravated and annoyed me. I admit I was partial to Hillary Clinton at the start. In simple terms, I was excited about the prospect of the first female President, but I also felt that Hillary has worked hard for the opportunity to serve as President. I felt she was deserving and completely prepared for the job. These are tough times, so I am not sure there is ample time to break-in a new President. It really would be advantageous to have a candidate hit the ground running, so to speak. I was also pretty impressed with Martin O’Malley, who I felt could have easily succeeded Barack Obama. I’d like to see him advance his political career. He seems to share the kind of common sense that is necessary to deal with today’s problems. And, he is a good speaker, something the American people need in a leader. I admit that due to some personal problems that have kept me very busy, the inability to connect with the clerk’s office to obtain an absentee ballot, and being in a quandary about who to support, I admit, for the first time, publicly, that I did not vote in this state’s primary election. The primary is over now and Hillary Clinton is the Democratic presumptive nominee, though who knows how secure that position will be, with every effort on the Republican side and even some on her own team, trying to destroy her. As I write this, I see increasing animosity toward Clinton by the Republicans, but also by the folks that support Sanders. Have they just finally been swayed by the relentless attacks by the GOP? With the national convention where a nominee will be officially named, this primary season is now at a crossroads. It is impossible for anyone to make a prediction, based on the news, lack of news, lies and innuendo, too many political pundits—both professional and amateur—as well way too many opinions on social media, television, and elsewhere. The information available is as varied as it can possibly be. Bernie Sanders has finally endorsed Clinton for President, but that may not be enough since his supporters are so vehemently opposed to a Hillary Clinton Presidency. They still hold out hope that she will fail and he can be whisked in at the last minute to become the nominee. But there is another spoiler entering the fray—Jill Stein—the Green Party Candidate for President. I have nothing against her, and in fact like what she espouses, but feel she is nothing more than a stick for which to stir the political soup pot. A vote for Jill Stein is a vote for Donald Trump. This is still a country with two parties. Any third party candidate is a spoiler. Stein will take votes from Clinton, not from Trump. The result could be disastrous, if enough people vote for her. That is what the GOP is hoping for. Siphon enough votes away from Clinton, so they can get Trump to win the contest. Haven’t we learned this lesson in the past? There is a dangerous game being played in Democratic politics and it may serve to blow up in everyone’s face. If Hillary Clinton is not elected, there is only one alternative—Donald Trump as President. No thinking person wants that to happen. While I do not agree with Hillary Clinton 100% of the time, she still will have my vote. I refuse to pick her apart by policies—policies that are continuing to evolve—when there is a big picture to look at. We must look at the total package, and not be dazzled by the pretty ribbon tying it together on the outside. Some people don’t seem to understand that. Often times, folks are just one-issue voters. Some voters are completely inexperienced about how the political system works. Many of these are students and young people that have never seen how long it takes to fight for a cause. Others are complete idealists, refusing to see beyond their own beliefs. There is no compromise for them. They see the world through black and white with no gray area. If there are enough of these kinds of voters, we will certainly face a Donald Trump administration in our future. In my view, that would be a disaster of epic proportion, not just for our country, but for other countries of the world. While I understand the Bernie Sanders movement, and the enthusiasm he brought to the table, there is no reason to believe the movement is done. It certainly can continue from a seat in the United States Senate. Government and politics are slow-moving. A political revolution, which was promised, is not something that happens overnight. These things take time, nurturing, and planning before they are carried out. My problem with Bernie Sanders has always been that he has never been tested. We’ve seen plenty of Bernie amid like-minded people, but what would happen to him in a general election with the likes of a Donald Trump, where insults and manufactured information was recklessly revealed on every television station multiple times per day. Anyone can buy an ad. It doesn’t matter if it is truthful. Most times, it completely isn’t. There is no truth in advertising, especially in political advertising. We do know that Hillary can handle it. She has withstood it for decades. Bernie has painted himself into a corner, by claiming to be a socialist without enough explanation. So many dismissed him as a crackpot, because of their own ignorance and not by anything he did. He did little to educate them. So much has been said about Hillary and her shifting positions. I’m a woman, so I understand that nothing is ever set in stone. As new information comes to light, even our long held positions can be tweaked, tempered, or even shifted. Everything is a work in progress. Nothing is so perfect that it doesn’t need to be re-thought and re-thought again. We live in an ever-changing world. Things change. I caution against judging Hillary Clinton by the good ole boys of the past. We’ve never had a woman in the White House and it could make all the difference. I don’t believe all the ugly things I’ve heard about Hillary Clinton, because frankly, there is never any proof—just a bunch of hot air—by people with an axe to grind. People generally don’t like strong, independent women. I do. I want to see Hillary succeed. I want to see what she can do. I think that like Barack Obama surprised some of his adversaries, Hillary Clinton will too.